The promotional dates for the 2019 Virginia home football games were announced today (March 20), including the dates for the University’s Family Weekend and Homecomings game. Virginia’s annual Homecomings Game will take place Nov. 9 when Georgia Tech visits Scott Stadium. The Cavaliers’ season-opening contest against William & Mary on Friday, Sept. 6 is designated to cap off the program’s annual “Paint the Town Orange” activities that include a pep rally at Charlottesville’s Downtown Mall on Thursday, Sept. 5. The Sept. 14 game against Florida State is University Day with special ticket offers to UVA faculty and staff. Achievements by University employees will be highlighted during the game. The Sept. 21 contest versus Old Dominion is Youth Day. Members of Cavman’s Crew will receive a special ticket offer and there will be youth giveaways at Scott Stadium. The Duke game on Oct. 19 has been designated as Family Weekend at the University. Family members and friends of current UVA students will have access to discounted tickets for the Family Weekend game. The annual Military Appreciation Day will take place during the Nov. 23 against Liberty. The UVA athletics department provides complimentary tickets to military locations across the state for service members to attend the game that includes various ceremonies to honor those who serve our nation’s military. Ticket discounts are also available to members of the military and their families. 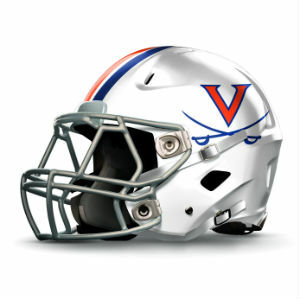 Virginia and Virginia Tech will square off in the VA529 Commonwealth Clash on Friday, Nov. 29 at Scott Stadium. UVA’s fourth and fifth-year players will be honored before the game. The Cavaliers open the spring practice period on Monday, March 25. Fans have the opportunity to watch the team in action at the culmination of spring practice as part of the annual Wahoowa Weekend on Saturday, April 27. The Spring Game starts at 1 p.m. at Scott Stadium. Admission and parking are free. Season tickets for UVA’s 2019 schedule are currently on sale at VirginiaSports.com or the ticket office in Bryant Hall. The season ticket renewal and priority ordering deadline is Tuesday, April 30. Fans have five different price options from which to choose when purchasing 2019 season tickets. Scott Stadium seating sections are designated Priority, Prime, Hooville, Choice and Value. Season tickets in Priority seating are $375. Prime seating is priced at $340. The Hooville season ticket (lower level closed end zone) can be purchased for $270. Season tickets in Choice seating areas are $220 and the Value area is available for $129 per season ticket. UVA faculty, staff and young alumni receive a discounted price point for each of these seating options. Fans must complete their purchase by April 30 for Virginia Athletics Foundation Priority Points to count in the seating process. All season tickets in Priority sections will have a required minimum annual contribution to VAF (2 seats – $100, 4 seats – $600, 6 seats – $3,700, 8 seats – $6,200, 10 seats – $12,500, 12 seats – $22,600) and all season tickets in Prime seating will again have a required $50 per seat contribution to VAF. A donation to VAF is not required to purchase season tickets in Hooville, Choice and Value seating sections. Improvements in seating location for season ticket holders in Priority areas will take place using the online seat relocation tool in late May based on VAF Priority Points. In order to qualify for seats in Priority and Prime sections, pledges to the Virginia Athletics Foundation must be received by April 30. Bonus points will be awarded for payment of gifts received by March 31. All returning Prime, Hooville, Choice and Value season ticket holders will have the opportunity to contact the Virginia Athletics Ticket Office and make changes on demand throughout the renewal period and will also have access to the online seat relocation tool in late May. Season ticket holders receive preferred pricing compared to single-game prices. Several payment plan options are available until April 30, including enrollment in the auto-renewal program. The auto-renewal program includes an option to pay in four installments. Season ticket holders who are also Virginia Athletics Foundation donors will have the first opportunity to purchase tickets to the Sept. 28 game at Notre Dame. Detailed information will be provided at a later date to those who are eligible. Football season ticket holders will also have the opportunity to receive complimentary tickets to designated baseball, women’s basketball, men’s and women’s soccer and men’s and women’s lacrosse games throughout the season. In addition, all football season ticket holders will receive invitations to special events throughout the year. New season ticket holders will also receive a complimentary V-Sabre clear bag. Hooville season ticket holders will have the option to receive a complimentary Nike – Hooville cap or a long-sleeve Hooville t-shirt. On-sale dates and pricing information for mini-packages and single-game tickets will be announced at a later date. Single-game tickets to the Nov. 29 home game against Virginia Tech will be available to be purchased by 2018 football season ticket holders and current donors to the Virginia Athletics Foundation who contribute $100 or more. Season tickets may be purchased online at VirginiaSports.com starting Thursday, Feb. 7 at 9 a.m. Season tickets may also be ordered over the phone or in-person Monday-Friday from 9 a.m. – 5 p.m. at the Virginia Athletics Ticket Office in Bryant Hall. The ticket office phone number is (800) 542-8821.